INSYDIUM, the developer of the very popular particle systems X-Particle for Cinema 4D, has announced that they are working on creating a bridge in Cinema 4D to utilize Blender’s GPU based render engine, Cycles. 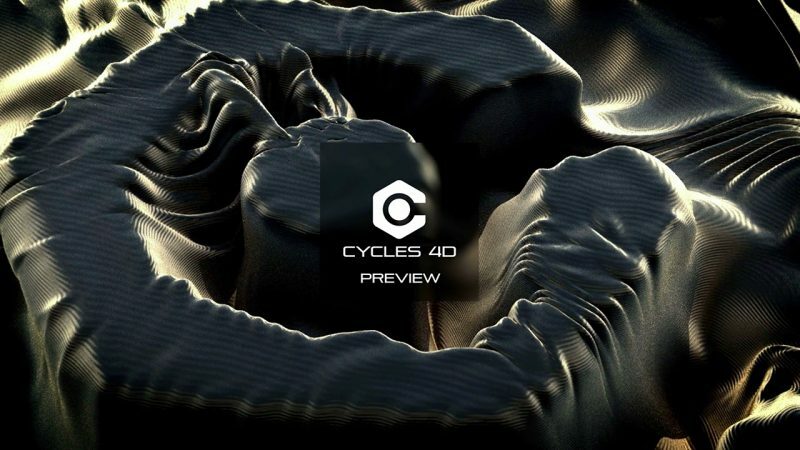 The plugin, Cycles 4D, hopes to create a true link to Blender’s Cycles, claiming users will be able to follow any Blender Cycles tutorial within Cycles 4D with no problem. Here are the details we have so far. Additional Nodes will be available to purchase at £60 each. Use either your CPU or GPU to render, giving you real-time interactive modifications instantly. Node-based user interface so that you can track your workflow easily. Cycles 4D won’t be compatible with standard Cinema 4D materials, so you’ll need to create your own or use their presets and build upon them. With the node workflow and tight X-Particles integration, the render engine seems to be very flexible. More tests will be needed to compare speeds between other engines such as Octane or Arnold, but keep in mind the price difference is huge. I’m personally excited for the cheap entry price, which compliments the entry price of X-Particles very well. Release date will be announced soon, and will be sometime this year. Stay tuned for more updates. Will it compatible down to R14? Very good question, let me try to find out. You know Cycles for Blenders are FREE right? How is £185 competetive price compared to FREE? Cycles may be free for Blender since it’s all open sourced, but people aren’t using Blender as the industry 3D package for motion graphics. Somebody’s got to port, maintain, and integrate Cycles into Cinema 4D, which is work that is not free. If you don’t want to pay, then obviously you can use Blender for free, but those who rely on Cinema 4D will gladly pay this price as a Octane or Vray alternative. I love Blender and Cycles, but C4D offers better, powerful mograph tools that Blender does not have. Now I can leverage the power of C4D along with the render quality that Cycles offers. (3 FREE Render Nodes per license) what they mean by that ? Licenses for render-only machines, for like a render farm where those machines just need a license to render-only (no customization abilities). nice! certainly will take a look when it is out.